US sporting goods giant Nike confirmed Monday it had stopped supplying Iran's football team with boots ahead of the World Cup due to sanctions. 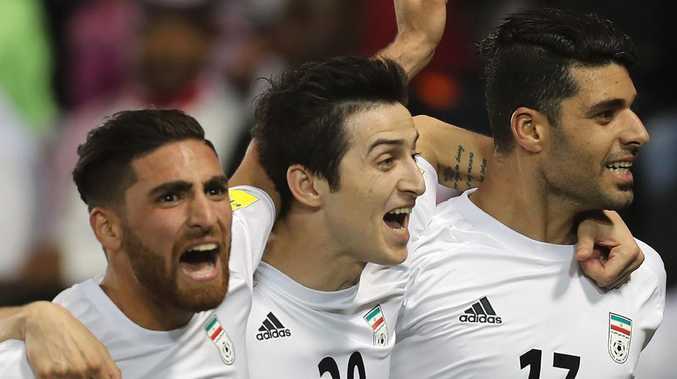 ( Iran's Mehdi Taremi (R) celebrates with his teammates Sardar Azmoun (C) and Alireza Jahan Bakhsh after scoring a goal during the World Cup 2018 Asia qualifying against Qatar. Iran has lost its boot supplier in Nike. Iran coach Carlos Queiroz expressed frustration at the decision. "Players get used to their sports equipment, and it's not right to change them a week before such important matches," ESPN quoted Queiroz as saying. Mohamed Salah will be given until the last moment to prove he's fit to play in Egypt's World Cup opener against Uruguay on Friday. Salah injured his left shoulder on May 26 in the Champions League final. 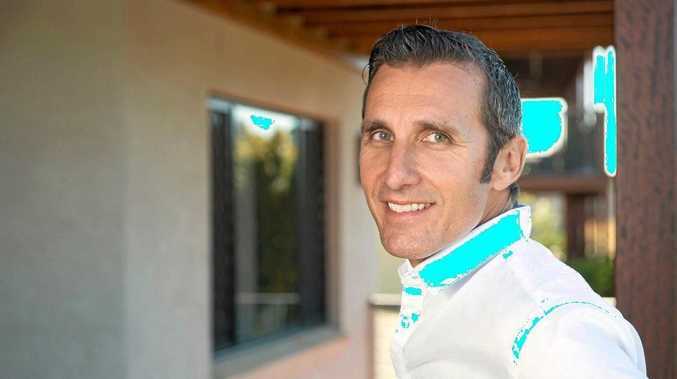 "Maybe he could start on the bench, but a final decision has not been made yet," the Pharaohs' team doctor, Mohamed Abouelela, told The Associated Press on Monday. Salah jogged for about 30 minutes on Monday as his teammates trained on the same pitch in Grozny for the match in Ekaterinburg. Mohamed Salah is up against it to be fit for the World Cup opener. "He is doing (physiotherapy) sessions on his shoulder and working out in the gym," squad executive director Eihab Leheita said. "We hope he will be with us for the Uruguay match." Leheita said a physiotherapist from the medical staff of Salah's Liverpool club was at Grozny to help, and denied the English club was pressuring the Egyptians not to play Salah before he is fully fit. "We will not pressure Mohamed. At the end, he is our son," Leheita said. After Uruguay, Egypt takes host Russia on June 19 and Saudi Arabia on June 25. It's Egypt first World Cup since 1990. The move is part of a continuing meltdown after the players were attacked and in some cases savagely beaten at their own training ground by a 50-strong gang of masked fans in mid-May. William Carvalho, Gelson Martins and Bruno Fernandes sent separate messages to the club, commonly known as Sporting Lisbon, saying they had a 'valid motive' to free themselves from contracts. 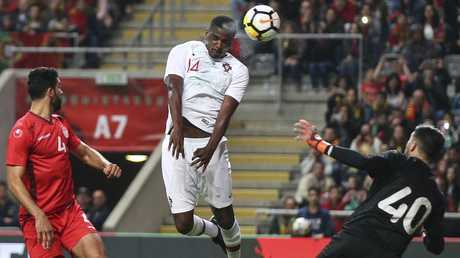 Portugal's William Carvalho, in action against Tunisia, has quit his club team Sporting Lisbon after a violent attack on the team. Other players who graced the green and white hooped shirts of Sporting had already informed the club of their intention to leave including captain and goalkeeper Rui Patricio and young hope Daniel Podence. The club's coach Jorge Jesus also quit. Twenty-three people were remanded in custody following the attack on Sporting's Alcochete training base in the Lisbon suburbs. The incident came in the build-up to the Portuguese Cup final, which Sporting lost 2-1 to unfancied Aves to complete a miserable end to the season. 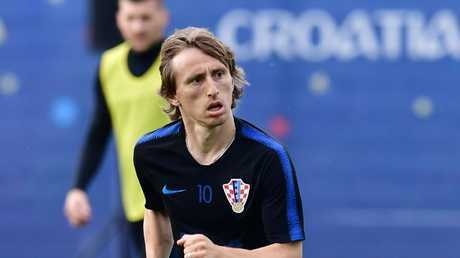 Croatia international Luka Modric says that after winning multiple titles with Real Madrid the last challenge he faces is to help his country make a good showing in the 2018 World Cup, Croatian news agency Hina reported Monday. "A great result with the national team is the only thing I still want to achieve," the midfielder said Sunday night as he accepted the award as Croatia's best player for the sixth consecutive year. He said that the squad's first objective is to make it out of the group stage and into the round of 16, "since we haven't achieved that since 1998." "But I believe we will achieve it in Russia," Modric added. The team left Zagreb early Monday for the town of Zelenogorsk - about 60km from St. Petersburg - which will be their home during the World Cup in Russia. Croatia begin their Group D campaign against Nigeria on June 16 before matches with Argentina and Iceland. A powerful brace from Romelu Lukaku and a glittering performance from Eden Hazard saw Belgium beat Costa Rica 4-1 in Brussels in their final World Cup warm up on Monday. 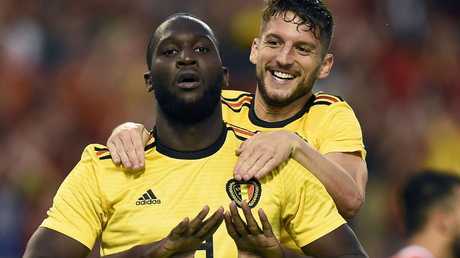 Belgium's forward Romelu Lukaku (L) celebrates with teammate Belgium's forward Dries Mertens (R) after scoring a goal during the international friendly football match against Costa Rica. "I'm not too worried about Eden, he's a tough guy. He gets kicked all the time, bur soon gets over it," said Lukaku after the game.